Have you ever asked yourself what your marriage is about? Have you ever wondered the reason you are married?There is nothing in this life without a purpose; everything in life was made for some reason, including marriage. 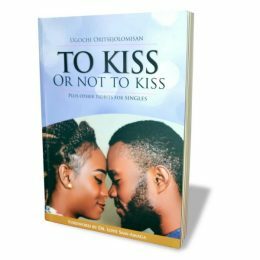 So do you know the reason for your marriage, do you have a vision for your marriage, do you have a goal set before you for your marriage, something you are pursuing as a couple, a purpose which your marriage is set to fulfill? Or is your marriage just like every other one? Do you just carry on your marriage anyhow, going through the routine and living the way the wind carries you? Your marriage is not a mistake; it was planned and purposed by God, the creator. There is an assignment for your marriage, it is your duty to sit down as a couple and discover what the assignment is for. Like I said earlier, everything under the sun has a purpose including your marriage. Your marriage has an assignment in people’s lives, in other marriages, in your world. Your marriage is destined to affect your world in a specific way; you must find this out so you can run with it. If you did not have a vision for your marriage before you got married, it is not too late, you can still find out now: it is never too late. It is very important that you discover the assignment for your marriage or you will not really be satisfied. Without vision there is no direction, and your marriage needs direction. Let me reiterate that there is a mission for your marriage, there is a reason more than companionship and procreation why you and your spouse are married. There is a specific task(s) which your marriage is supposed to accomplish. God the creator of marriage does not create anything just for the sake of creating; everything He made has a purpose. He created your marriage with His kingdom assignment in mind. My marriage’s mission is different from yours. Besides having children and nurturing them in the ways of God and guiding them to affect their world for Christ, my marriage has its mission. My husband and I discovered some even before we got married and after marriage some others were unfolded. We know the assignment of our marriage in our world, this gives us focus, helps us to plan, gives us direction and a sense of responsibility. Your marriage is not all about you, your spouse and your children. Yes I agree that raising great children who will cause great changes in their world is one great task for parents, but I believe that every marriage has an assignment beyond this. I want to encourage you to pray and ask God to reveal the assignment He has for your marriage to you, so you can begin to run with it. I promise you, it gives you a whole new perspective about your marriage; it spurs you on and gives you something to look forward to as you journey in marriage. You must get that vision for your marriage and record it so that you can set yourself to accomplish it, it gives you another kind of satisfaction to know that there is something positive your marriage is set to accomplish in this world. There is something on both your hearts, a passion that both of you share, one thing in common that you would both like to do to give back your world, that could be your marriage’s mission. Pray about it, talk about it, plan for it, and begin to do something about it! Where there is no vision, the people (marriage) perish: but he that keepeth the law, happy is he. All things include your marriage! Now let’s share: Do you have a vision for your marriage? Is your marriage on a mission? Or are you just going through the motions of every day routine? Thank you ma for this post- Marriage with a mission. Mine is one with a mission by the grace of God. God went way ahead of us to make things happen and positioned us to minister to others. Cannot tell the full story here but one day I do hope to write a book about how God has a plan and purpose for us even before we were born. Jeremiah 1 v 5. Have a great day ma. Warm regards to all yours. I love this scripture, it always reassures me that God has a serious plan for me. Thanks a lot for coming by, have a super blessed day ma! Your second question got me as I’ve been blessed over the last couple of years to have a husband who writes a post why he loves me. This year was our 16th wedding anniversary and he wrote 16 Reasons Why I Still Love My Wife After 16 Years of Marriage, http://www.oneextraordinarymarriage.com/16-reasons-why-i-still-love-my-wife-after-16-years-of-marriage. It puts a smile on my face when I read this as it shows how much he respects and honors me as his wife. Congratulations Alisa, I am sooooooo sorry for this very late response. Thank God for couples who know how to treat eachother!